Having beautiful, healthy skin is something we all want. 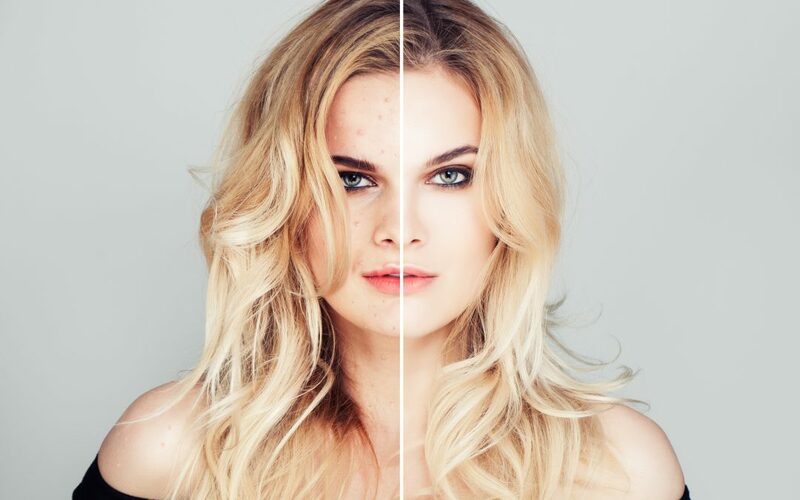 Unhealthy skin can make you look dull even when you don’t feel so. Healthy skin can be obtained through proper diet, high intake of water, use of quality beauty and skincare products, and protecting your skin from environmental issues including the sun. To take the right measures to improve the health and appearance of your skin, it is important to determine if you have unhealthy skin, what the problem is, and how bad it is. Knowing the cause of the problem is needed, so you know how to solve the issue. If you can eradicate the reason for the problem, it can be resolved completely instead of going away temporarily. 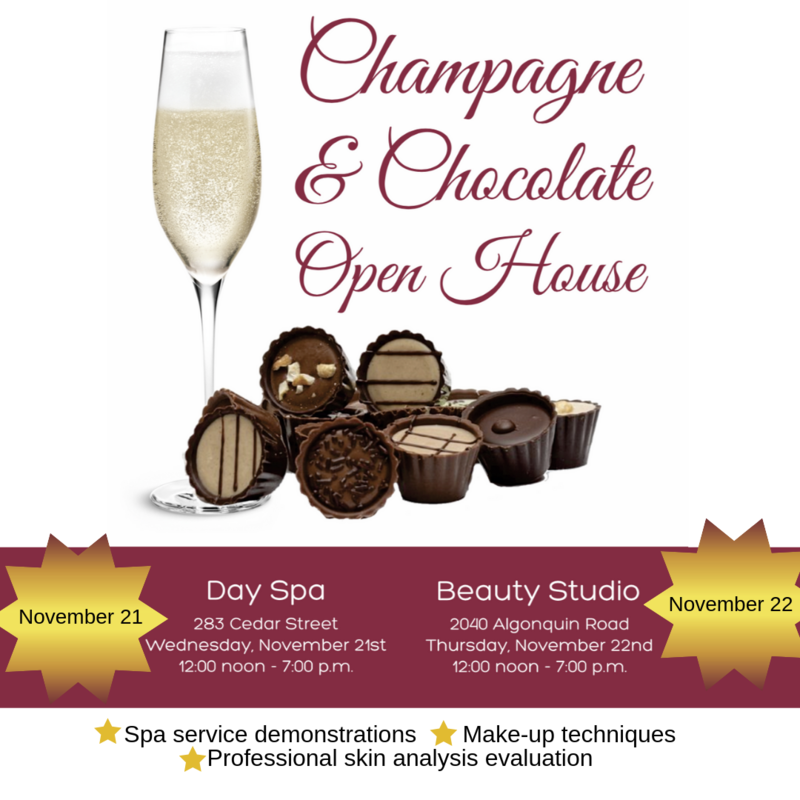 If you would like to know the health of your skin, join us November 21 and 22 at our Champagne and Chocolate open house for an opportunity to use our skin scanner and let us walk you through the health of your skin. Of course, the first step is to determine if you have poor skin quality or not. In this post, we discuss the general differences between unhealthy and healthy skin. Healthy skin has a consistent tone all over. With unhealthy skin, it is easy to notice patches of different tones all over the face. These patches could appear as blotches of reddened or darkened color. One of the most common signs of unhealthy skin is excessive darkening around the eyes. This could be the result of many unhealthy habits or an underlying health condition. For example, stress and lack of sleep can cause it. When your skin is extremely dry, flakey, and itchy, your skin is trying to tell you something. Dry skin will be especially prominent in areas like around the lips, under and around the eyes, elbows, knees, and ankles. Your skin needs to be properly moisturized and should not just be an external application of a moisturizing lotion or cream. Your body should be able to keep the skin hydrated from the inside. This is why proper intake of water and healthy fatty acids is required. Poor skin texture is an easy to determine sign of unhealthy skin. When you feel your skin, you’ll be able to either feel smooth, healthy skin, or bumpy, rough skin. Bumpy skin could be early development of acne, blackheads, and whiteheads. Skin needs to be cleaned regularly so the pores don’t become clogged. Otherwise, they start developing sebum, which is the result of accumulation of the skin’s natural oils mixed with impurities. Facials can help improve the texture of your skin, improve the health of your skin, as well as improve your skin tone. Your skin will let you know when it is becoming unhealthy and you might start feeling itchiness, pulling of the skin or stinging. You could even feel a burning sensation. These are sure signs that the skin needs your attention. It could happen when you have applied a new product that may be causing an allergic reaction. Otherwise, this could be the result of your skins health being ignored. Through personal measure, many unhealthy skin issues can be improved. Cleansing and moisturizing, eating skin-friendly food, increased water intake, and applying quality skincare products will all help.If you have skin issues and can’t seem to resolve on your own, consult with a skincare professional. They will be able to determine the root cause of the problem and suggest appropriate remedies.